I love the challenge of helping people to develop skills and knowledge, in order to enjoy freediving safely. Course designed to be an introduction to freediving for the complete beginner. Develop basic skills, knowledge and safety procedures necessary to enjoy freediving safely. Teaching you the fundamentals of the duck dive, breathing and relaxation techniques so you will be confident enough to spend some time underwater. We will learn and perfecting all aspects of the proper technique which in turn will be increasing your confidence and expand your depth limits and dive time. After successfully complete this course the AIDA 2 star freediver will be able to dive safely and comfortable from 16m up 20m depth. 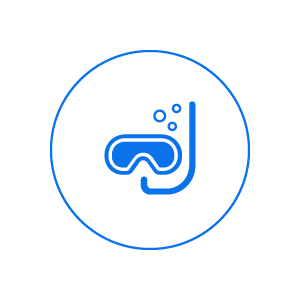 The course is designed to develop new skills and a higher knowledge of safety procedures and techniques for freediving such as free falling, Frenzel equalizing, training tables, the risks of increasing and decreasing pressure. After successfully complete this course you will be able to dive safely up to 30m depth. Learn and improve your freediving skills, come to join us in a freediving course. 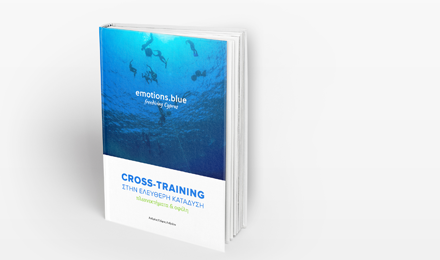 The ebook its in Greek language . Learn how you can improve your abilities , make your training more exciting ,interesting.